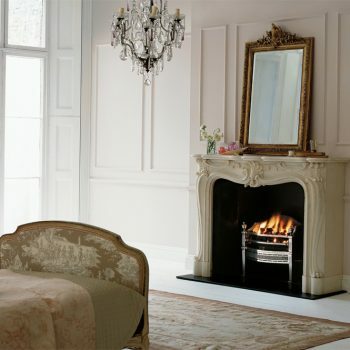 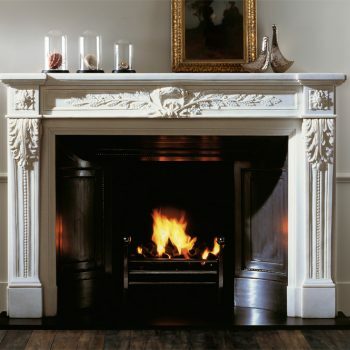 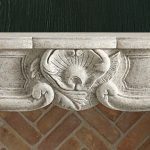 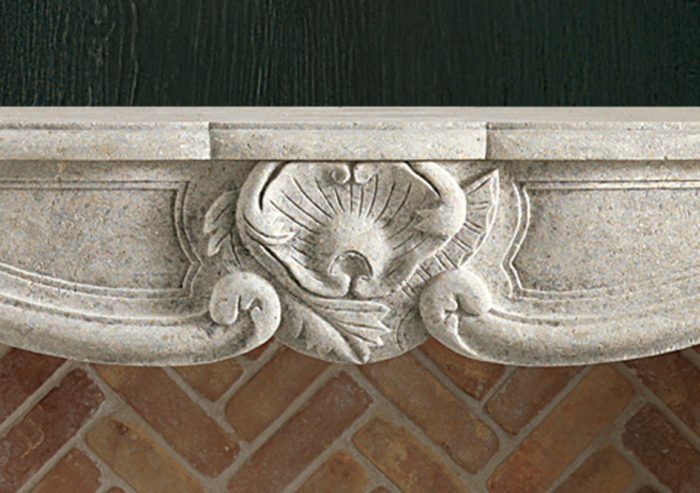 A serpentine fronted chimneypiece of the Louis XV period with carved central cartouche. 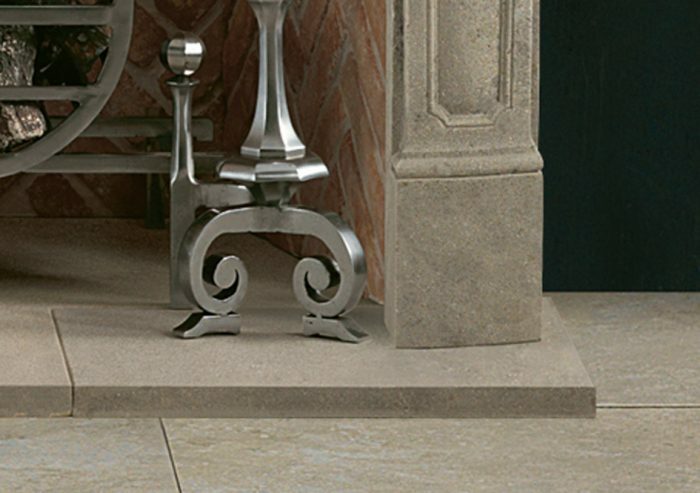 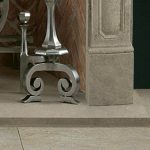 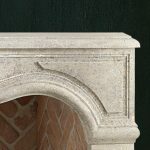 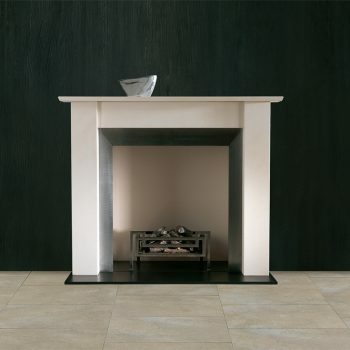 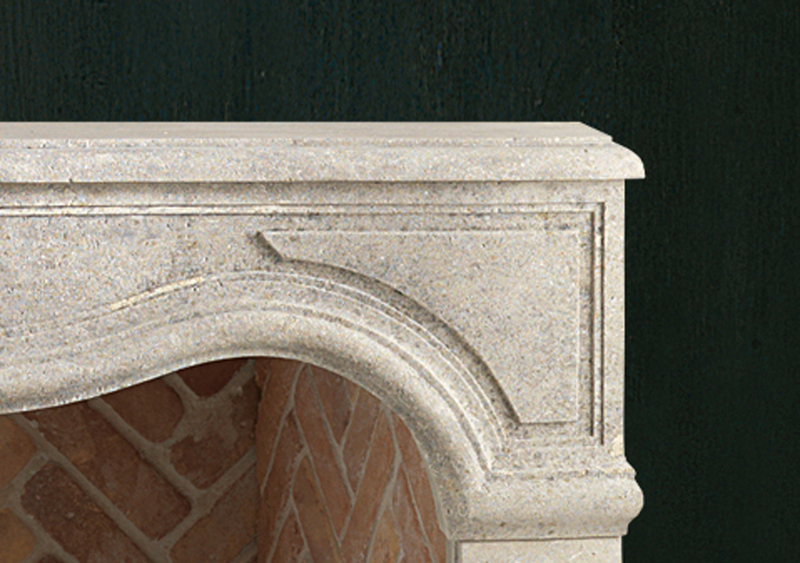 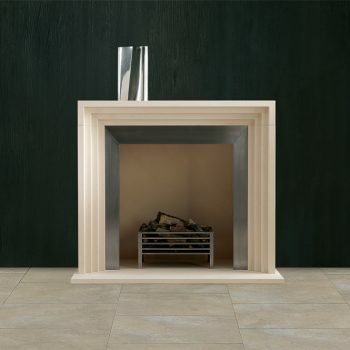 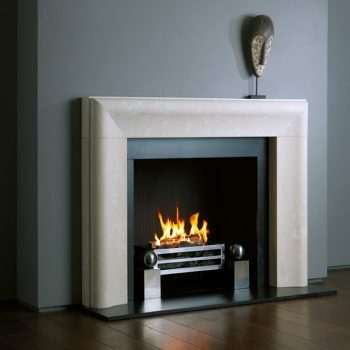 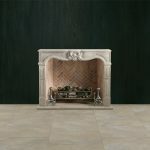 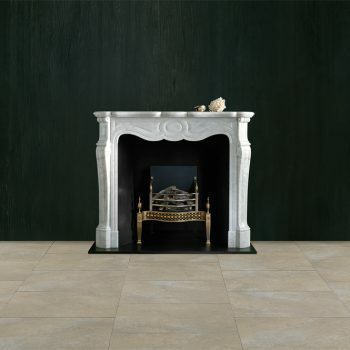 Shown in Italian Bianco Avorio limestone. 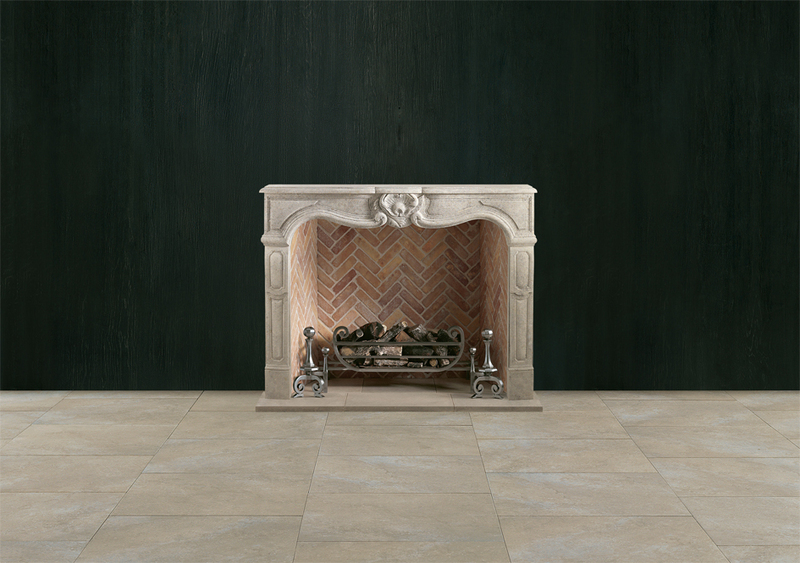 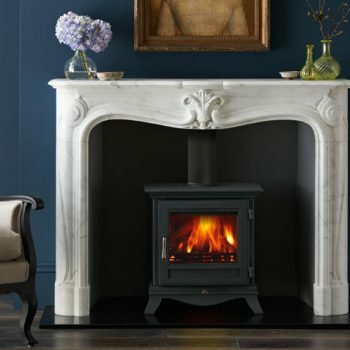 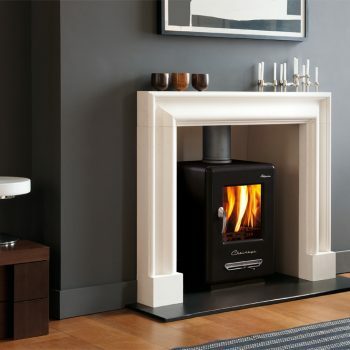 It is shown with Tyndale fire basket for dogs, Bevan andirons, Herringbone brick interior panels, matching 3 piece Bianco Avorio hearth.